RSS, which is defined as an abbreviation for Rich Site Summary, is a summary of different websites compiled into one feed or channel that eliminates the need to visit each individual website to read updated material. An example of an RSS is Google Reader. "RSS." YourDictionary, n.d. Web. 23 April 2019. <https://www.yourdictionary.com/RSS>. A metadata push technology, i.e., a technology that can identify changes in data and initiate a content push to the end user, without the user having to search it out and pull it from the site.The term RSS is an umbrella term variously used to describe a number of versions of several data Web feed formats specified in Extensible Markup Language (XML) and used for syndication of Web content. Those standards include Really Simple Syndication, Rich Site Summary, and RDF Site Summary. More recently, the IETF adopted the Atom Publishing Protocol (APP), which builds on the previous RSS work.The Atom Syndication Format is described in IETF RFC 4287 (2005). See also metadata, push, Web, and XML. (Really Simple Syndication) A syndication format that was developed by Netscape in 1999 and became very popular for aggregating updates to blogs and news sites. RSS also stood for "Rich Site Summary" and "RDF Site Summary." 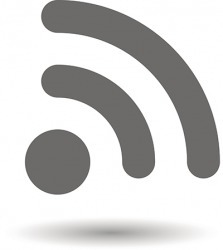 A source for creating RSS feeds is www.feedforall.com. See syndication format for more on syndication feeds. RSS Lineage (RSS 1.0 and RSS 2.0) There are two lineages of RSS. RSS 1.0 conforms to the W3C's RDF specification and was released from the RSS-DEV Working Group in 2000 (see RDF). In 1999, Radio Userland's Dave Winer took over Netscape's RSS 0.91, later upgrading it to Versions 0.92 and 0.94 and turning it over to Harvard in 2003 as RSS 2.0. Most newsreaders support both formats. Pheedo is a feed advertising service that matches advertisers seeking opportunities to advertise in blog feeds that reach readers in their defined target audience with blog publishers who have RSS subscribers within that population. When you find a podcast on the Interner, usually it will show an RSS feed showing the most recent episodes of the podcast - usually with a date, a title, a description of the content, length of program - and a direct download link. This professionally built site does not disappoint, with scenes from the movie on the main page, a free trailer download, an RSS feed for events and news, and of course an online store where you can purchase official merchandise. There are hundreds of feed directories across the Internet, so initially you'll need to devote some time to getting your feed "out there." Start with the big search engine RSS guides, such as Yahoo or Google. When you decide to venture into feed advertising for your blog, you should take steps to increase RSS subscribers and focus on creating content that is likely to engage them and make them want to keep coming back for more.